Despite the name, Vegas Slot Casino offers a lot more than just slots games. 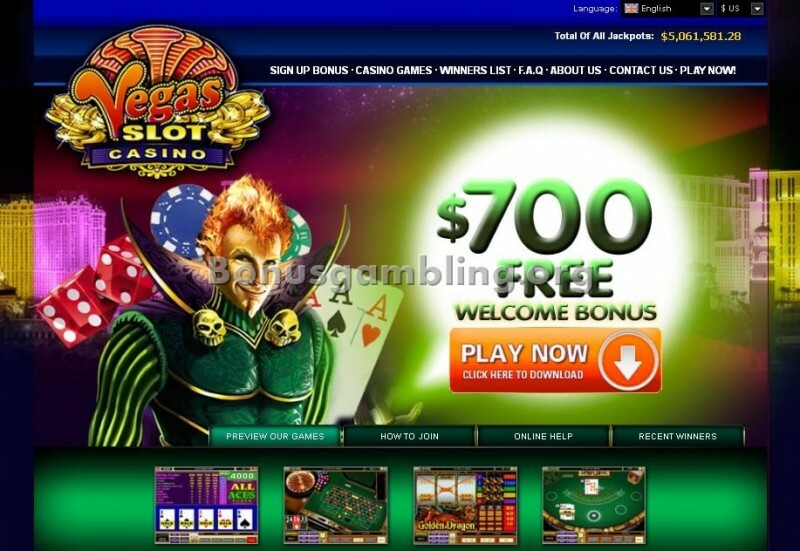 If you are looking for an all-round online casino experience, you have come to the right place with Vegas Slot. They feature a huge range of games, a top sign up bonus, 24/7 customer support and much more. The home page is set with a background of Las Vegas and with the fantastic games available, you will feel like you are playing in the heart of the city. The main page of the casino is full of information set out in a user-friendly way that is simple to access. With clear graphics and multiple links, it is a pleasure to navigate around. Vegas Slot Casino is powered by Microgaming, a leader in online casino software development. The software is accessible to PC and Mac players as it is available in a download version and a Flash version. The software supports play in multiple languages, including English, French, German, Italian, Spanish, Swedish and Portuguese. Vegas Slot Casino also supports multiple currencies, including USD, GBP, EUR and CAD. It offers superb graphics, animations and sounds and offers useful features and functions for a top gaming experience. There are more than 470 casino games to choose from at Vegas Slot Casino. These include table games, card games, video poker, slots, parlor games and progressive jackpots. There are multiple blackjack and roulette titles available, plus other popular games such as table poker, casino war, craps, baccarat and sic bo. All games can be played for free in the fun mode of the casino or for real money in the real money mode of the casino. There are 16 jackpot titles available, offering huge progressive jackpot payouts. Vegas Slot Casino offers 24/7 customer service support. Players can contact the support team at any time of the day or night via email, telephone or instant live chat. There are toll free telephone numbers available from Canada, the UK, Germany and Denmark. There is also a comprehensive FAQ section available. Vegas Slot Casino is serious about your security. All transactions are protected via 128-bit SSL data encryption technology. The casino is a member of the Interactive Gaming Council and its random number generators are regularly audited by third party companies. Vegas Slot Casino is certified by eCOGRA for fairness and player protection. Vegas Slot Casino is licensed by the Kahnawake Gaming Commission. It does not accept players from the US. I had a great experience playing at Vegas Slot Casino recently. The Vegas background scenes and the incredible games made me feel like I was playing in Vegas right from my home. There were amazing games to choose from, top features and very worthwhile bonuses and promotions. The promotions at a casino are one of my favorite parts and I look for them before I sign up. Vegas Slot Casino did not disappoint me and it made my choice to play there so much easier. I was able to claim $700 in bonus money over my first five deposits into my new account. On my first deposit I claimed a 100% bonus up to $100 which was a great start for me. The casino is also part of the Casino Rewards group so you can claim some amazing rewards through the VIP program. I am sure I will also make good use of the refer-a-friend bonus as I definitely plan to recommend this casino to my friends.